Back Valley Ranch | Natural, organic quality, grass-fed beef for sale to Ashcroft, Cache Creek, Savona, and Kamloops, BC. All natural, free range, antibiotic and hormone free, organic quality, grass fed beef. Howdy and welcome to Back Valley Ranch! 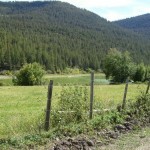 Located approximately 24 km North East of Cache Creek and approx. one hour West of Kamloops lies the humble home of our free range, grass-fed all natural beef. Here at Back Valley Ranch, we are proud to provide you and your family with a healthy alternative to beef products currently sold in our market today. We offer beef packages for sale by the side, quarter and 30 freezer packages as well as other items of interest for the whole family to enjoy(see Beef for Sale for pricing information). Here at Back Valley Ranch, we pride ourselves in a peaceful and all-natural way of life raising our cattle in green, wide open spaces where they can roam freely from spring to fall on almost 20,000 acres of free-range grasslands. Throughout the winter months, our animals graze peacefully at home here in Back Valley finishing off each year on quality alfalfa hay produced right here in our valley. Back Valley Ranch is a beautiful place and we are proud to provide you with a photo gallery from our personal album for your viewing pleasure. Please visit our Photo Gallery and remember to come back as we will be posting new photos often! As more and more people have become aware of the health benefits of grass fed beef, we have found ourselves unable to keep up with the demand for our products. This has led to wait times as long as 6 months for our customers to receive their orders. Our own farm is now operating at its maximum sustainable capacity. In order to alleviate the supply shortage, we are introducing a partnership with Silverspring Ranch of Savona, B.C. who are now supplying some of the natural beef to our operation. Located just a few miles down the road from Back Valley Ranch, and friends of our family for many years, Dennis and Debbie Keeping operate as Silverspring Ranch, another modest sized family farm operation. Again, cattle are raised the natural way, on good grass, lush hay pastures and without the use of grain to finish. Silverspring grows some of the finest alfalfa hay in the area and in fact the province. 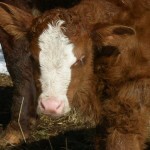 Silverspring Ranch runs a productive cross bred herd, with bloodlines from the Angus, Charolais and Limousin breeds. Animals are raised without implanting hormones, feeding antibiotics and all stock are free to roam as cattle were meant to be. We thank Dennis and Debbie for joining our grass fed beef program and for their great animal husbandry practices! © 2019 Back Valley Ranch.